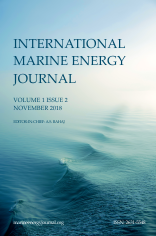 Classification systems for wave energy resources and wave energy converter (WEC) technologies could provide similar benefits to those for the wind energy industry: resource classification facilitating reconnaissance studies and project planning at both regional and national scales; and WEC classification streamlining and reducing costs of WEC device design and manufacturing. In the present study, a classification system for U.S. wave resources is used to investigate the feasibility of WEC classification. Wave spectra inputs from three wave energy resource classes delineated in this system are used to derive distributions of optimized WEC design scaling factors, as well as WEC design responses. Preliminary results indicate that a single standard WEC design class could serve within a given resource class, and corresponding regional wave climate, due to distinct wave energy distributions and concentrations of energy within partitioned period bands for each resource class. The WEC response to extreme loads was found to vary considerably within the most energetic of the resource classes examined, suggesting the need for these standard design classes to meet structural design requirements based on the upper limits of load response within a given resource class. However, the observed load metric variation is lower than the inter-region resource variations.